Whether they’re trying to take over your bird feeder or building nests in your attic, squirrels are one of the most common forms of nuisance wildlife in New York and Vermont. Not only can they do serious damage to yard and home, but many squirrels carry diseases, like rabies, as well as parasites, fleas and ticks. 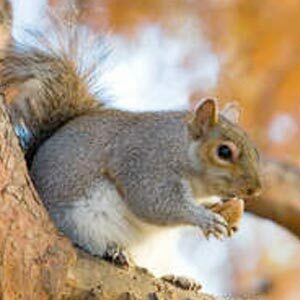 If your home or yard is overrun with these bushy tailed menaces, Nature’s Way Pest Control can help. Our professional licensed wildlife control experts are trained to use a variety of humane methods for squirrel removal, and can even seal off entry points, perform attic clean outs and install pest control attic insulation. 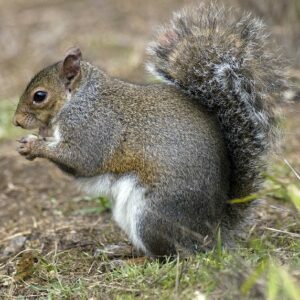 The most common cause of squirrel problems in Glens Falls NY is the gray squirrel. These rodents have predominantly gray fur with a white underbelly and a big, bushy tail. Their fur can also appear brownish in color. They are very agile and seemingly defy gravity, able to scale the vertical walls of your home. They sharpen and clean their teeth daily by gnawing on hard branches, which allows them to easily chew through insulation and electrical wires. Smaller than gray squirrels with smaller bushy tails, red squirrels vary in color from brownish-red to grayish red with white bellies and white fur around their eyes. Red squirrels can be found throughout the Northeast from Albany to the Adirondacks and into Vermont. Red squirrels build multiple nests within their territory and move their young between them. They love attics, and particularly insulation. Not only is it warm, but it’s easy to chew, break into pieces and move from place to place. With big wide eyes, a thick cinnamon colored coat and a white belly, the flying squirrel is most distinguished by the furry membrane that stretches from its front limbs to its ankles. Since they are nocturnal and secretive, they are rarely seen, but we have received calls for flying squirrel problems in Albany, Saratoga and Lake George, as well as Vermont. 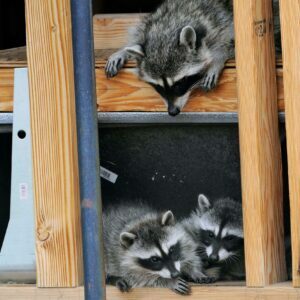 If these rodents take up residence in your attic, they can cause a noticeable order and damage with their urine. Any time you have animals living in the attic or walls of your home, it’s best to contact a professional exterminator. There could be a nest of babies you don’t know about, and in some case, rabies or toxins may be present. Unless you are trained and have the proper equipment, you should not attempt to remove wildlife, animal waste or damaged insulation on your own. Our licensed wildlife control experts in New York and Vermont use humane catch and release traps for squirrel removal from your yard or home. If your insulation is damaged, we can also remove and install special pest-control insulation that has been treated with environmentally-friendly pesticides. For a free inspection in Albany, Saratoga, Glens Falls or anywhere in Upstate NY, call (518) 745-5958, or call (802) 855-2978 in Vermont.